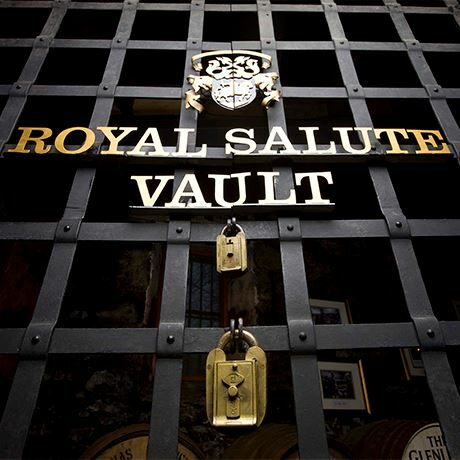 With age statements that start at 21 years old, the mantra of Royal Salute is ‘begin where other whiskies end’. Showered with royal warrants since 1843, Chivas Brothers has more than returned the favour with Chivas Regal and a bevy of other blends with the word ‘royal’ in the title. Of these, the most prestigious is Royal Salute, launched in 1953 to commemorate Queen Elizabeth II’s coronation. Royal Salute is unique in that the youngest ‘entry-level’ expression in its range is 21 years old. Since its launch Royal Salute has always been bottled in coloured ceramic decanters, the first of which was green, and made by Royal Doulton. It initially featured the Royal Coat of Arms, which was later replaced by the Chivas Brothers crest depicting Robert the Bruce. A brown decanter was introduced in the 1950s but was discontinued in 1991. 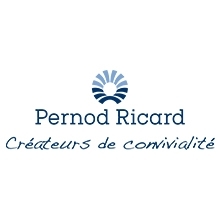 Other colours, all containing the same 21-year-old blend, have included blue (first introduced in 1960), and burgundy, which first arrived in 1985. Today the Royal Salute also includes the Eternal Reserve, Diamond Tribute, 38 Years Old Stone of Destiny, and 62 Gun Salute. Older releases have included a 40-year-old bottled in a red Baccarat bottle to mark the Queen’s 40th anniversary, the 50-year-old Coronation Cask, and the 45-year-old Tribute to Honour. The standard 21-year-old was described by whisky writer Dave Broom as ‘a stunningly good blend’ being ‘smooth as silk, rich and elegant with a huge range of rich flavours’. To celebrate the Queen’s coronation in 1953 Charles Julian, Chivas Brothers’ master blender, took inspiration from the traditional 21-gun salute used to mark royal occasions. It was decided that Royal Salute should kick off with a 21-year-old, made using whiskies laid down in the 1920s and ‘30s. Wealthy consumers in Asia have been key to its success, and the brand is a major polo sponsor. 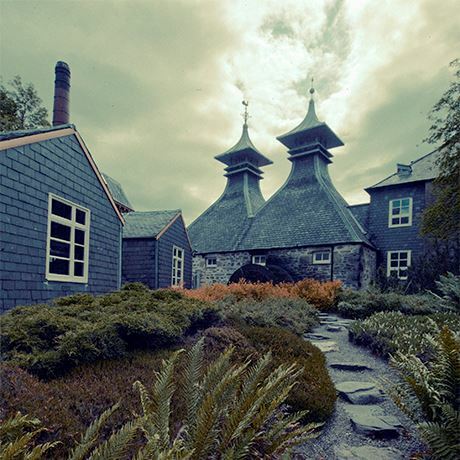 Its spiritual home of the brand is Strathisla in Keith, and select casks have been put aside in the Royal Salute Vault at the distillery to mark future celebrations. 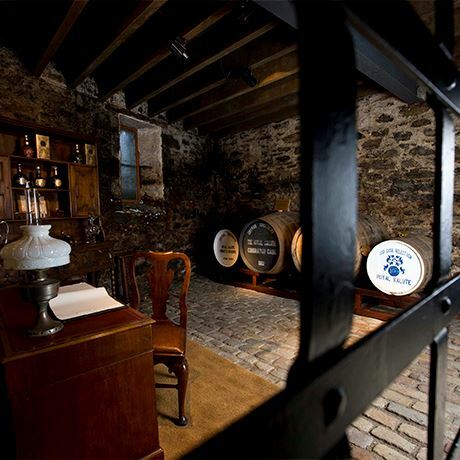 In 2002 whisky was drawn from the stash to produce Royal Salute 50-year-old for the Queen’s Golden Jubilee. A decade later Chivas Brothers master blender, Colin Scott, created Royal Salute Tribute to Honour to mark Queen Elizabeth II’s Diamond Jubilee. Just 20 porcelain decanters were released, encrusted with over 400 diamonds and priced at US$200,000 (£150,000) a pop. In 2015 Chivas Brothers marked yet another royal occasion with the launch of The Royal Salute Age Collection, a limited edition set of 10 blended Scotch whiskies, released to celebrate the Queen’s 63rd year on the throne – the longest reign of any British monarch.